Food is part of all great adventures. Stop by for a bite, plan your next trip or share tales of your latest adventure with friends. Our baked goods, granola and bagels are made from scratch in our small kitchen. The selection varies from day to day, stop by to see what’s available today. Veggie + Hummus with peppers, lettuce, tomato, cucumber and Humble Hummus. Selection changes daily. Check the display for today’s selection. We’re firm believers that going on adventure doesn’t require eating tasteless snacks or soggy sandwiches. 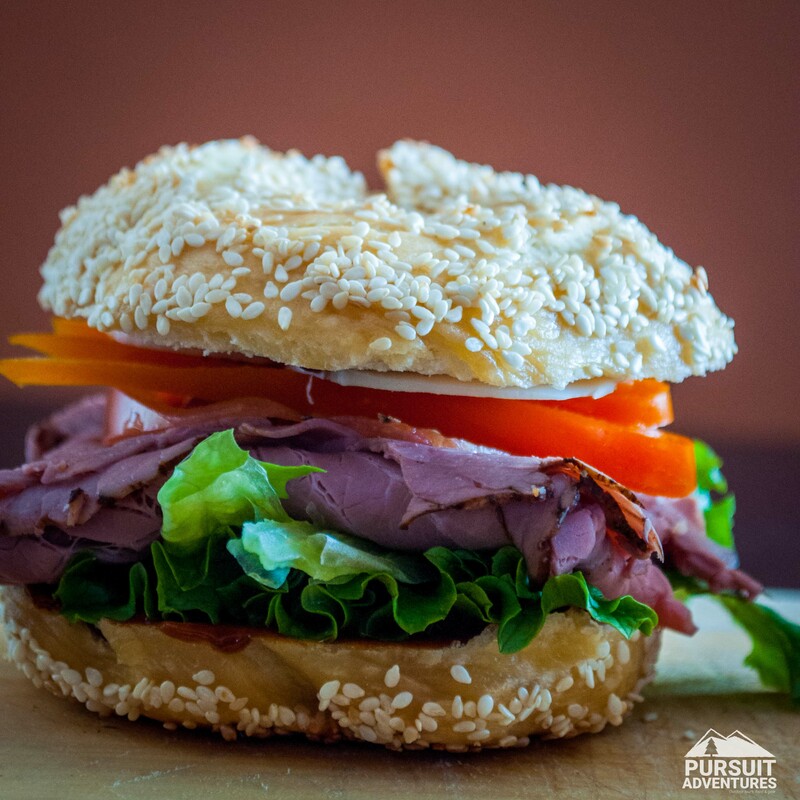 We bake our bagels, breads and muffins from scratch, use only our favourite ingredients to make our lunches and work with restaurants and producers whose food we love. You’ll find a selection of muffins and baked goods depending on the trip, along with apples and water bottles. At the end of the day we have Kicking Horse Coffee, hot chocolate and marshmallows waiting for you before we head home. Our bagged lunches are available on the Ski Bus, letting you skip the cafeteria line up to get a few more runs in… Make sure to order yours when you book your trip. On full day tours we have water bottle and snacks for the road. For lunch you’ll find a delicious sandwich, veggies and hummus, fruits and a desert square. We get to work with lots of great local producers and amazing brands doing what we do. 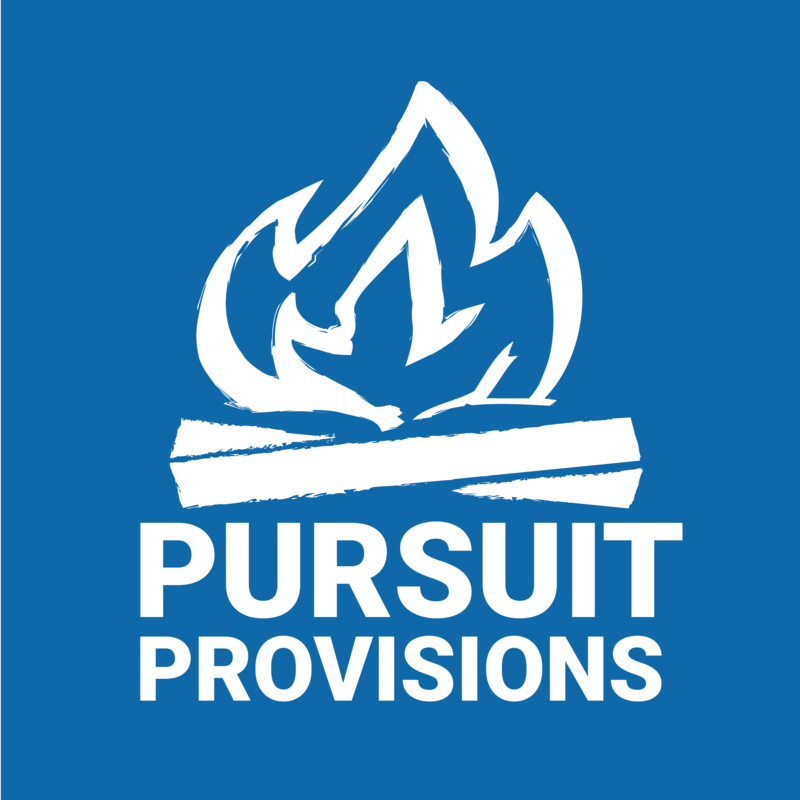 We look for products we love, great stories and brands that fit with our passion for Central Alberta and outdoor adventures. 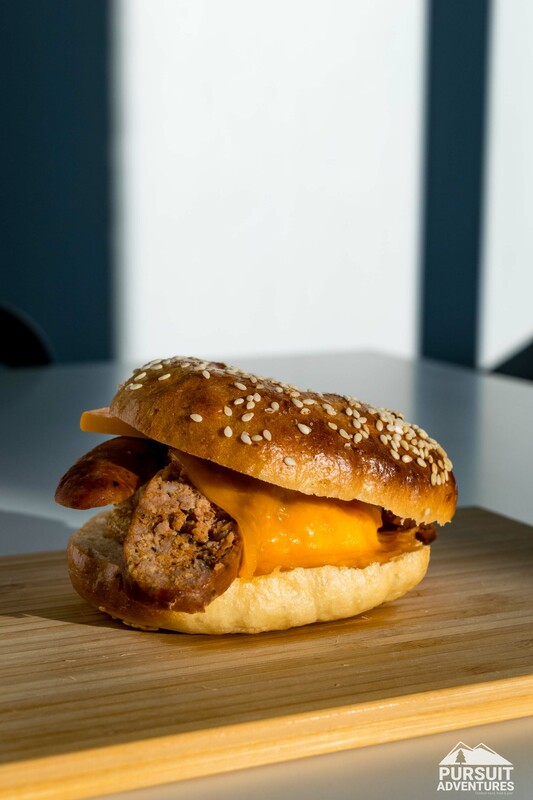 Located near us, this European inspired deli makes the sausages you’ll find in our breakfast sandwiches and smoked cured meats you’ll taste in the café and on tours. They support local farmers and make the delicious ham and bacon you’ll find at the café. We’ve been serving their fair trade coffee on our tours for years. They roast great coffee in Invermere and support lots of outdoor recreation intiatives, which we definitely appreciate. We’re lucky to be just a short walk from the brewery… A regular stop on tours like the Float + Brewery Tour, Troubled Monk makes great craft sodas that are available at the café. Fresh lettuce, tomatoes, peppers and cucumbers grown in the Gull Lake area. Some of their producers are also featured in our Market Tour! Our own line of ice pops, hot chocolate mixes, marshmallows and granola made in-house. Pick them up at the Basecamp + Cafe or at markets throughout Central Alberta. 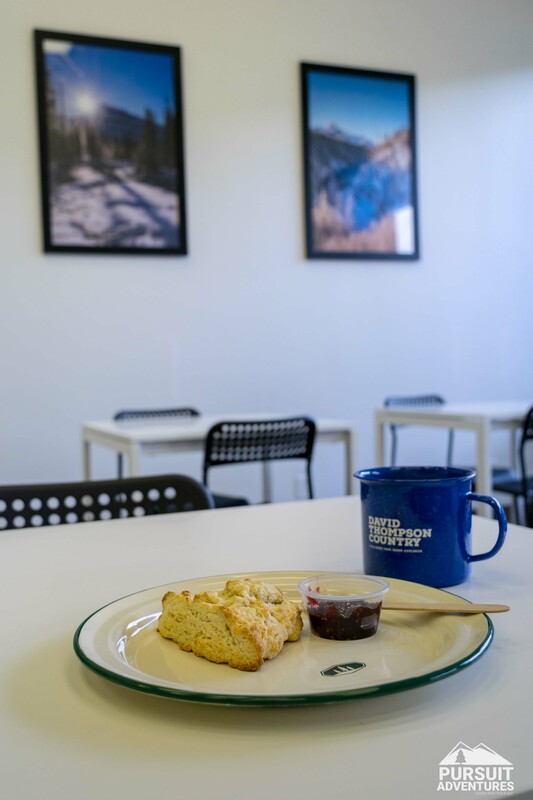 Make some of your favourite treats from Basecamp + Cafe and our tours at home. Lazy mornings when we’re camping usually mean pancakes. Adding peaches cooked on the campfire makes it even better. Pizza might now be the first thing that jumps to mind when planning a camping trip but once you try it’ll quickly become a tradition. It only takes a few minutes to put the dough together and the flavours from cooking on the fire will make you want an extra slice. Foil packs are easy and delicious on any camping trip. Coming back from a day of hiking quickly put together a few ingredients, wrap it up in foil and place on the fire while you enjoy a little après. As a kid I always loved when my grandmother made these for an after school snack. So when our 4 year old asked if she could learn to bake, this seemed like an obvious place to start. She has been watching cooking shows on YouTube lately and started hanging out in the kitchen when we’re baking. The trick to spending more time outside is to have a few quick and delicious meals in the plans. That way there’s no excuse after school or work but to grab a bite and head out for an evening of snowshoeing. Why make your own marshmallows? Aren’t they hard to do? It’s surprisingly simple, fun and they taste so much better! The real bonus is that homemade marshmallows fit way better between graham crackers for your s’mores! There’s something about longer days and warm afternoons that just make your crave an ice pop. We’re ready for summer, longing for fresh fruits and dreaming about our next adventure. Our daughter loves everything sour and these definitely pass her test. These aren’t for everyone but for the true lime lovers.